A high quality, high lumen, pistol mounted light is one accessory that offers major advantages for a home owner in a self-defense situation. One major reason is that the fourth rule of firearms safety – know your target – still applies even during nighttime home invasions. Being able to make sure that the bump in the night you heard is an actual threat and not a family member or pet can save you from making a horrible and life altering mistake. 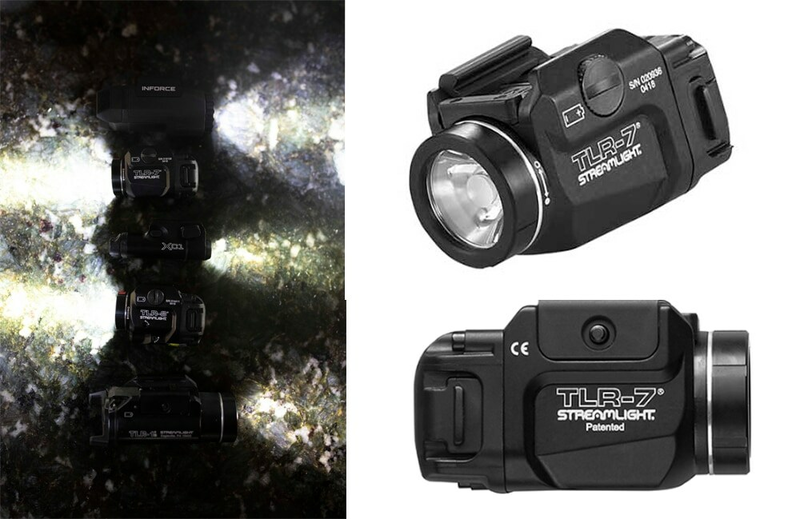 In addition, if you do have to shoot to defend yourself, a weapon mounted light helps give you a clear sight picture that aids your accuracy and helps speed up any necessary follow up shots. Some commonly heard criticism of a WML for home defense is that you could temporarily blind yourself if you shine the light into a mirror or white wall. Another is that you are just giving away your position to a potential bad guy or that in order to see something you have to point your gun at it. In reality, these are non-issues. They’re easily remedied through training and can be dismissed one-by-one. First, the blinding argument. Try though I might I was unable to find even anecdotal evidence of this ever being a problem, either in training or real life. The bottom line is that even the brightest of lights just aren’t powerful enough to completely blind and disorient you when shined at a white wall. And if you are using the light for home defense, why in the world would you be shining a light at a mirror that you know is there? The last two criticisms are easily addressed through proper training. 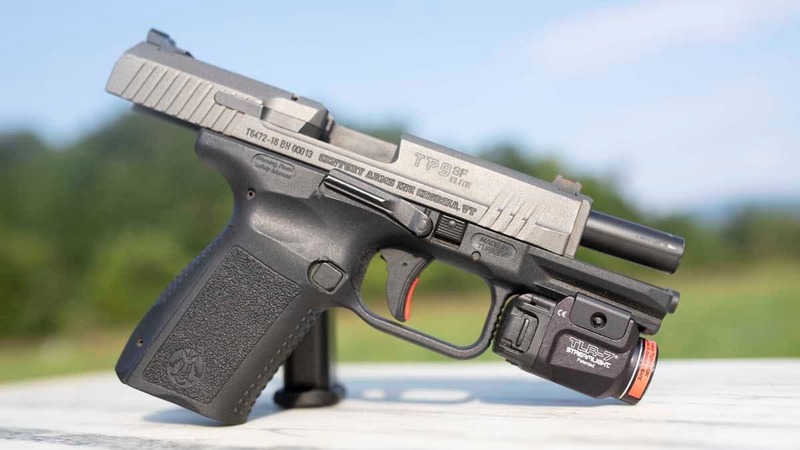 The ambient light, or “spill” from a bright WML, makes it quite easy to see your surroundings without needing to point your pistol directly at a target, especially indoors. A smart home defender will practice a defense plan in daylight as well as darkness, so take a minute to learn the characteristics of your light and what it will and will not illuminate clearly. The same idea applies to possibly giving your position away. There is no real need to have your WML on at all times. Sorry, Hollywood. You only need to turn it on in brief flashes, like a snapshot, to see what’s around you, so there’s no possibility of a steady light source to give you away. If you are wondering how this may make it hard for a bad guy to see and track you, just try catching a lighting bug. Overall, I can’t really think of a single realistic downside to having a WML on a defensive pistol. That being said, everyone is entitled to set up their tools however they like, but it seems like the home defender would be passing up a clear advantage by not putting the brightest light they can find on their home defense pistol.